At the foot of steps climbing from my parking area to my cabin, a palm tree stands as a memorial to the late conservationist Margot Patterson Doss of Bolinas (1920-2003). Margot was a San Francisco Chronicle outdoors columnist, a Bay Area-hikes docent on tv’s Evening Magazine, and an author of 14 books. She was also a member of the California Coastal Commission and a member of the Citizens Advisory Commission to the Golden Gate National Recreation Area (which she helped establish) and Point Reyes National Seashore. The desert palm beside my steps had once been among several Margot was growing at her home. She gave it to me as as an ironic political statement because we shared a distrust of the non-native zealotry of a few folks in West Marin. It seems more than coincidental, for example, that the once-liberal Sierra Club — which has become so anti-immigrant that white-supremacist members in 2004 made a run at taking over the national board — is also hostile to the hundreds of non-native species in the US. The president of the Marin Group of the San Francisco Bay Chapter of the National Sierra Club is Gordon Bennett, a member of the National Seashore superintendent’s kitchen cabinet. As such, Bennett has become the loudest voice defending the nativistic policies of the Park Service on Point Reyes. 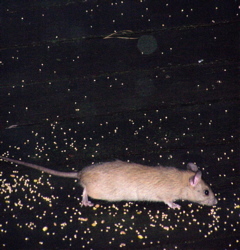 Ironically, non-native Roof rats, such as the one above, were in North America 400 years prior to the founding of the Sierra Club. 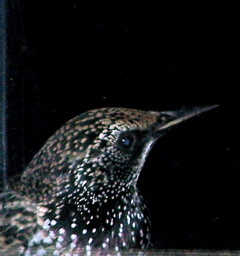 And European starlings, such as the one below, have been making noise in the US longer than the organization. All three can be annoying, but the Republic will survive. It is “ominous… that during Adolf Hitler’s Third Reich, the National Socialists (Nazi Party) had a program to rid the landscape of ‘foreign’ plants. An interesting paper, ‘Some Notes on the Mania for Native Plants in Germany’ by Gert Groening and Joachim Wolschke-Bulmahn (Landscape Journal, Vol. II, No. 2, 1992), details this history. “With the current rise of racism, immigrant-scapegoating, and other noxious, unAmerican ideologies, we must be prepared to hold all those who are promoting the anti-exotics frenzy personally responsible for their part in legitimizing a pseudoscience which leads directly to the horrors we saw in the 1940’s. Ask yourself: is Hudson overstating the zealotry? Then look at the next two photos. A barely non-native cypress tree? 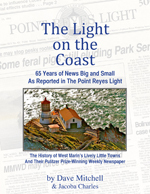 John Sansing was superintendent of the Point Reyes National Seashore from its opening in 1965 until Supt. Don Neubacher succeeded him in 1994. About 40 years ago, Sansing had this Monterey cypress planted at the Abbott’s Lagoon trailhead to soften the stark, industrial appearance of its restrooms and parking lot. Last summer, Supt. 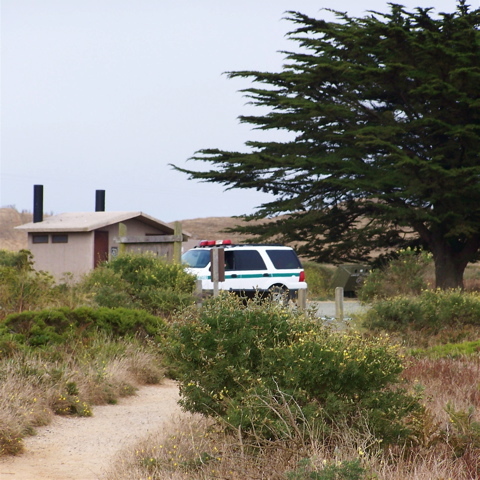 Neubacher had the cypress cut down, and the Park Service explained why in the Aug. 2 West Marin Citizen: “Many have noticed the removal of the lone Monterey cypress at the Abbotts Lagoon trailhead parking. It is a California native species but well out of its range and thus an exotic species for Point Reyes. How bizarre! First, as botanists will tell you, relatively few of a cypress’ seeds are viable, and in any case cypress cones often don’t open for years, which is why there was only a “lone Monterey cypress” (according to the Park Service) at the parking lot for 40 years. Monterey cypress simply is not an invasive species, despite what National Seashore staff say. Second, park staff claimed to have worried that ravens would roost in the trailhead cypress tree before flying off to eat snowy plover eggs and chicks at the beach. The plover nests, however, are more than a mile from the trailhead, and there are plenty of other trees in their vicinity. Third, the diameter of the cypress tree was 4.5 feet in places, and cutting it down did not make for a more-traditional landscape. Just the opposite. 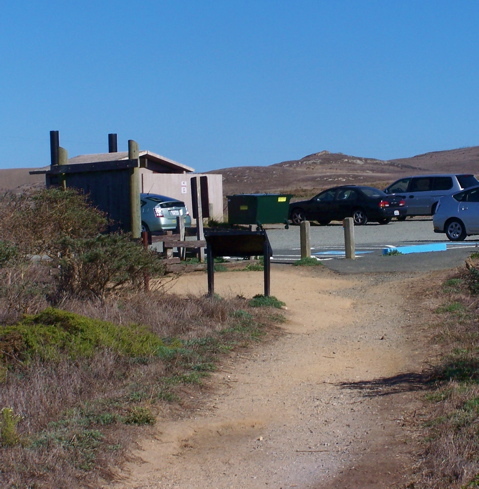 Removal of the large tree left the trailhead’s starkly utilitarian restrooms as a prominent feature of the landscape, along with rows of vehicles in the parking lot. 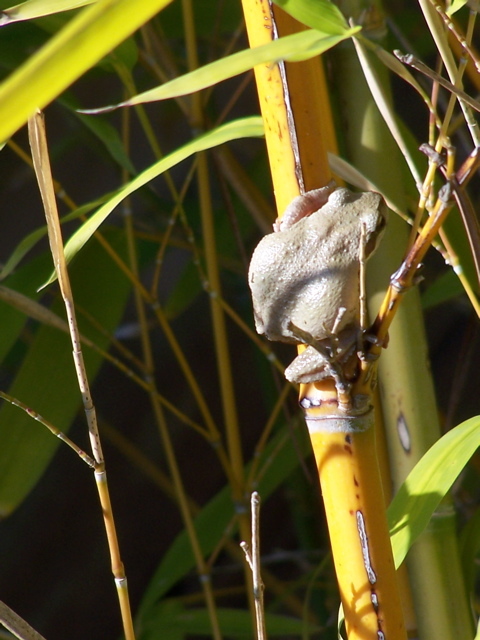 A native Pacific tree frog enjoys perching on a non-native bamboo growing in a wine barrel on my deck. 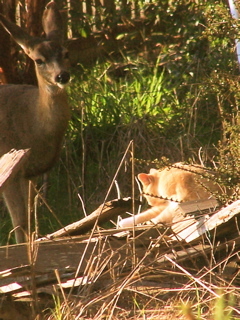 Native blacktail deer and non-native housecats comfortably coexist hereabouts. The cats, both domestic and feral, do take a toll on birdlife, but the park isn’t about to start shooting cats. 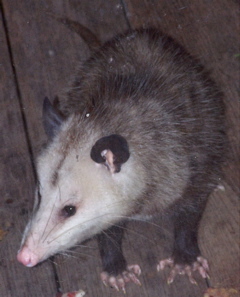 Possums are native to the Deep South but not California although they’ve been in the Bay Area for a century. Tourists don’t take particular notice of possums, so the park leaves them alone even though possums eat native birds’ eggs, frogs, and berries. 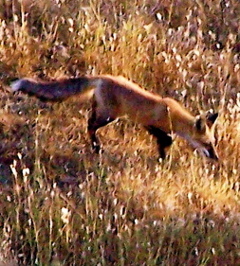 Red foxes, like Monterey cypress, are native to California, but here again the park considers them 75 miles or so out of range on Point Reyes. Supt. Neubacher, however, has yet to announce any fox hunts. Nor are the park’s non-native muskrats being trapped. With innumerable non-native species in and on the edge of the Point Reyes National Seashore, which ones has the Point Reyes National Seashore chosen to eradicate? In short, Point Reyes is being sacrificed to a park administrator whose personal prejudices are reflected in a capricious form of nativism. Supt. Sansing administered a park that had a place for the stately cypress tree, the axis and fallow deer, an oyster company in Drakes Estero. Supt. Neubacher is now reversing significant policies established by his predecessor. Is this going to go on forever? Will each new superintendent redecorate the park to suit his own taste? 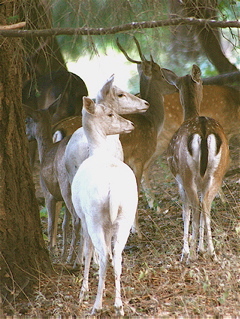 People who work for or with the Point Reyes National Seashore occasionally claim there should be no non-native species in the park because it is not a “zoo” but a nature preserve. In fact, it’s neither. When the land was being threatened by subdividing and logging, Congress created the park for the benefit of the surrounding urban population. And today, as the park reports, 70 percent of its 2 million annual visitors come from the nine-county Bay Area. 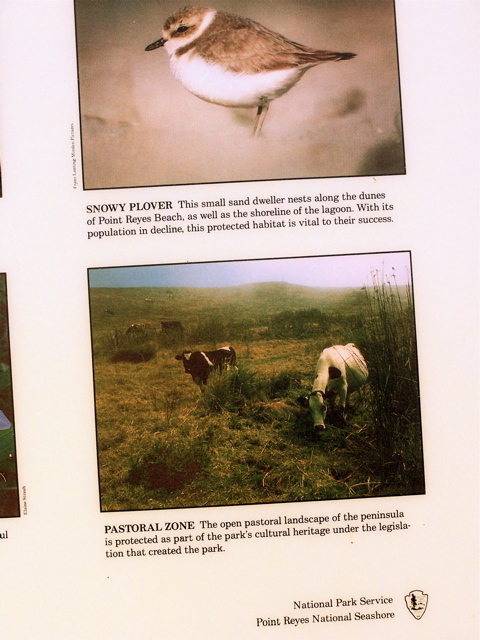 Nor is there any question that Congress intended that much of the park remain grazed pastures filled with non-native species, as a Park Service sign (above) near the cypress’ stump acknowledges. What will it take for the citizens of the Bay Area to unite against the National Park Service? In Marin, you have chronicled some of the many horrors of NPS management. In San Francisco, they are systematically eliminating forms of recreation like off-leash recreation that they promised to maintain as they preceeded the establishment of the Golden Gate National RECREATION Area (they have been dropping recreation from the name as of the last few years). The bicyclists and the hanglidering enthusiasts and those who like to light bonfires at the beach have all fought with GGNRA management as well. 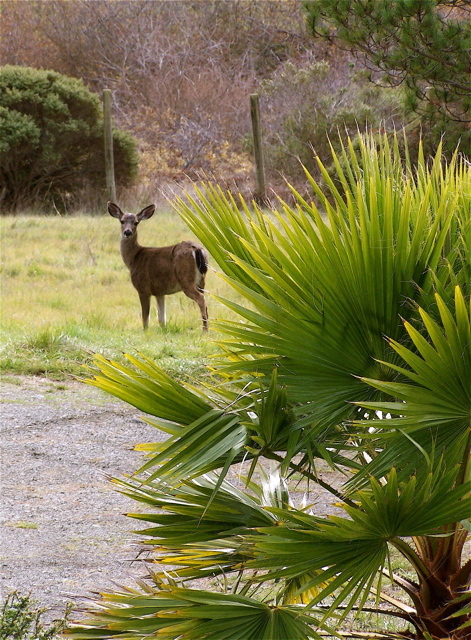 In San Mateo County, they have built habitats to justify excluding recreation. The worst part of it is these habitats also expose the residents to mosquitoes and West Nile Virus, or alternatively to excessive spraying with dangerous pesticides. Beyond that, they are also creating habitat which has led to the movement of ticks that can carry lyme disease into our residential neighborhoods. When will the masses rise up and say “enough!” When will we finally object to nativism and unscientific land management practices being shoved down our throats? We should recognize nativism shows no respect for the sanctity of life — all life, and we should have educated ourselves to understand nativism has roots in Nazi Germany. Are we a part of the problem or a part of the solution? Thank you for this article. Now, seven years after its publication, the Drakes Bay Oyster Company is about to gasp its last breath. Here at the Post Sustainability Institute we track the progression of the Sustainability Movement and forecast the most likely outcomes if it proceeds unchecked. Rooted in UN Agenda 21/Sustainable Development and prior ‘environmental masks’, the cult of the nativists is part of a larger movement. Behind the mask of environmental concern the major corporations/foundations/NGOs/consultants are pushing New Urbanism. NU clusters human beings in highly concentrated urban centers and restricts their access to rural areas. This is a regionalization effort to erase jurisdictional boundaries and representative government. Regionalization is the interim step for full globalization and, ultimately, the efficiency of full corporatocracy. UN Agenda 21/Sustainable Development is the blueprint and action plan to inventory and control all resources, information, and human beings in the world. Although a ‘non-binding,voluntary agreement’ this plan was agreed to by 179 nations in 1992 and, through legislation and ideology has become the law of the land across the world. For more information please see Democrats Against UN Agenda 21 and Post Sustainability Institute. Sparsely Sage and Timely is powered by	WordPress 4.9.10 and delivered to you in 0.630 seconds using 52 queries.